Yahya Noor moved to the United States from Somalia more than two decades ago. He has a strong commitment and connection to Chelsea, the community where he works and lives. Yahya manages the www.OurChelseaMa.org portal for Healthy Chelsea and works as a Somali and May-Maay medical interpreter at MGH Chelsea Health Center. Yahya is passionate about the development and improvement of his community. He serves on a variety of local committees including: Community Preservation Act, Chelsea Beautification, Community Enhancement Committee, and the Chelsea Hill Community, a group he co-founded. He also sits on the board of directors of Chelsea GreenRoots. In collaboration with local agencies and fellow residents, Yayha has organized many events and meetings in Chelsea. The responsibilities he most takes pride in are coordinating with local organizations to increase resources for Chelsea and its neighboring cities, providing interpretation and translation for Limited English Proficiency patients, and integrating refugees and immigrants into the U.S. healthcare system. 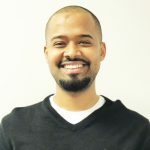 Yahya is a versatile member of his community and the Healthy Chelsea team, serving as a community advocate, community connector, community health worker, medical interpreter and refugee advocate/coordinator. Many of the photos used on this site: Copyright Tracy Van Auken. Courtesy of the Robert Wood Johnson Foundation.